I opened up Dynamic Training Centre because I wanted to make a change in peoples lives for the better and promote fitness. I have been directly involved in the fitness industry since Dec 2007 and indirectly since Oct 1997 and have seen too many individuals healthy, unhealthy, and injured not get the help that they needed or wanted for various reasons. I am a fitness instructor and I teach sports inspired and martial arts inspired cardio workouts and a variety of hi-low impact classes. If you are someone that has never worked out, have any type of injury or limitation preventing you from exercising and getting active, or you are just looking for someone to give you that extra push to get you to the next level, then I am the Coach for you. I specialize in TRX Suspension Training and TRX RIP Training allowing me to target every part of your body with a focus on core stability to help prevent injuries and injury rehabilitation. 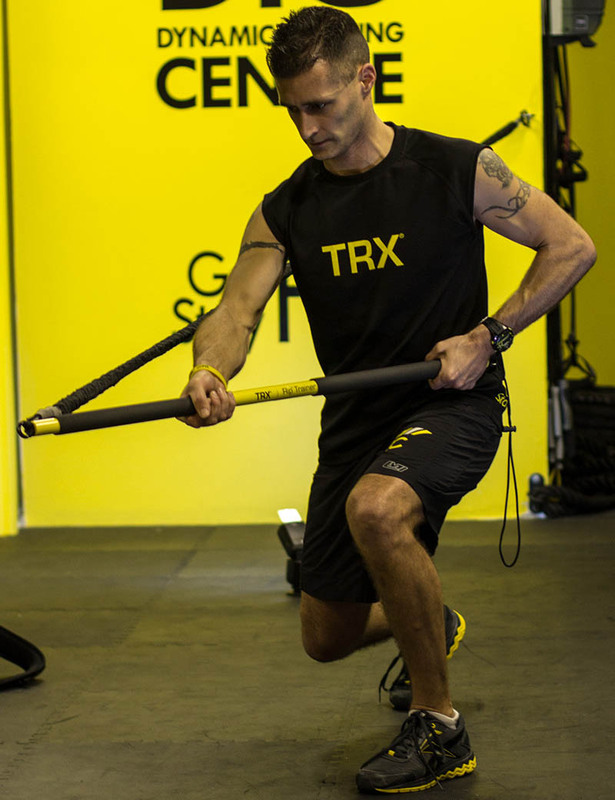 Gray – Elite TRX Trainer – This highly active TRX CORE Trainer has completed a variety of Level 1, 2, and 3 TRX Professional Education Courses and has the skills to prove it!